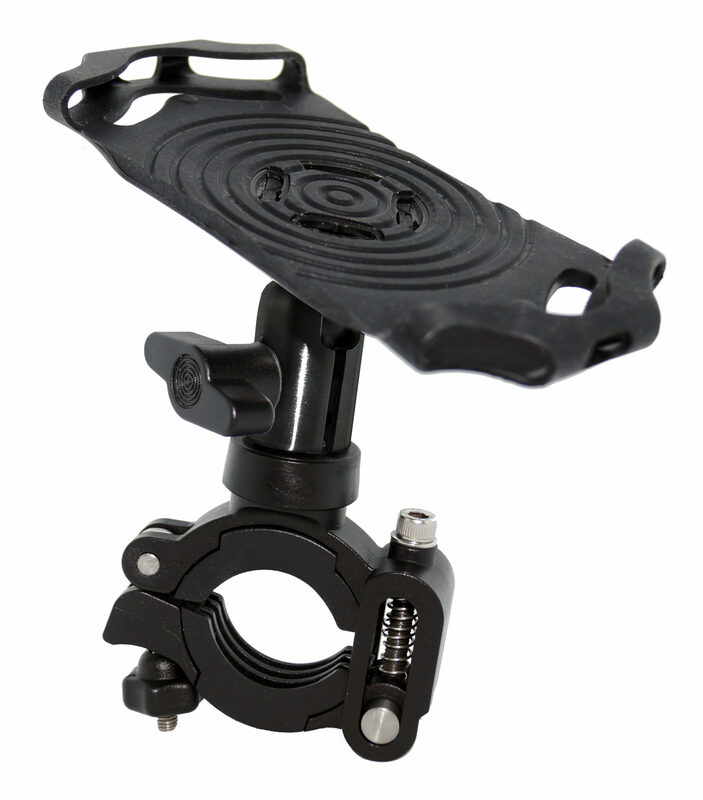 Universal phone holder with quick release bracket for diameters 24mm to 38mm and works great with any phone. 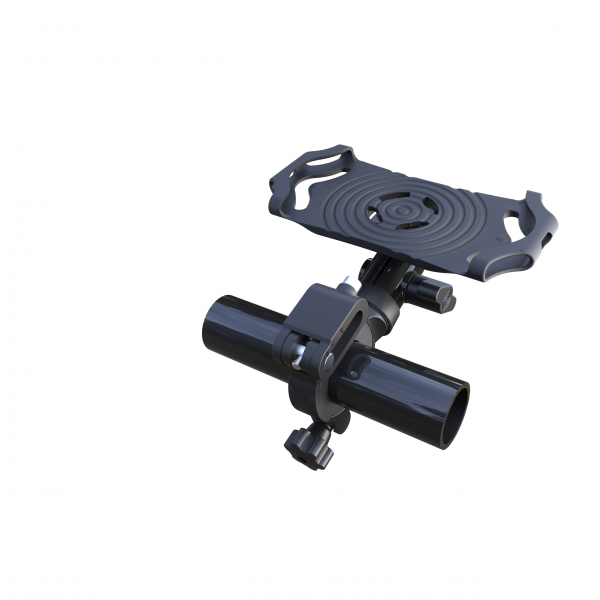 Fits with aftermarket cases for phones such as iPhone X, iPhone 6,7,8 & iPhone X, XR, XS, X Max, X Max R.
Holder is on a ball socket so can rotate 360 degree’s for viewing at any angle. 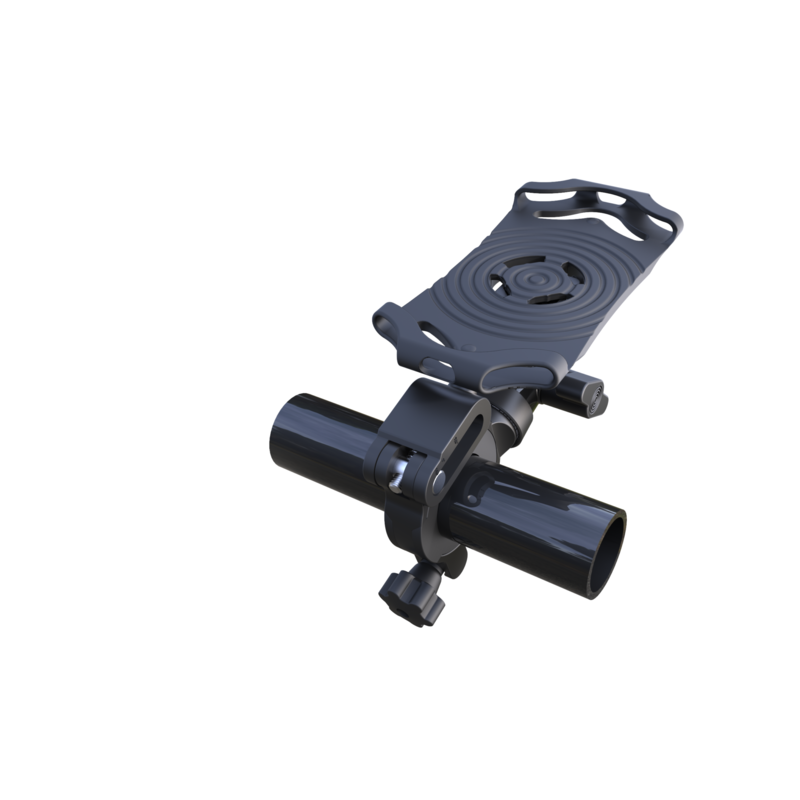 Can use as an out front mount and comes in handy when you have lights, or other devices mounted on handlebar, because will provide a few inches of clearance from bar. 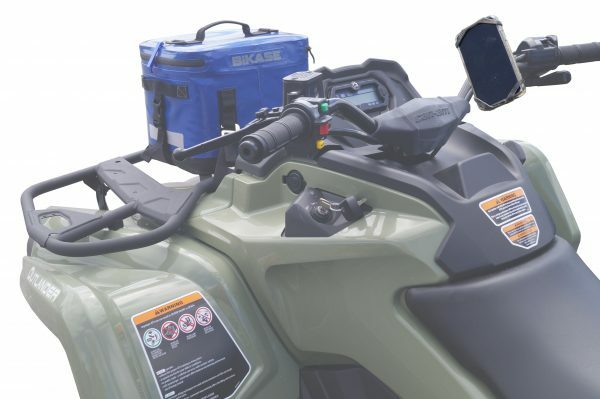 Works on Bicycles, E-Bikes, ATV’s, Motorcycles, Snowmoblies, and UTV’s. 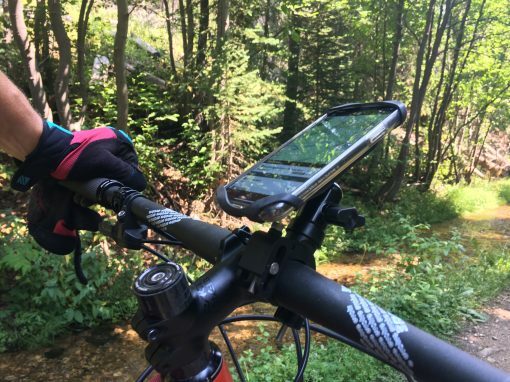 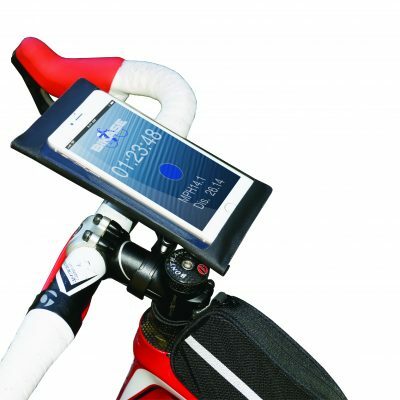 This Universal phone holder with quick release bracket for diameters 24mm to 38mm and works great as an iPhone X bike mount. 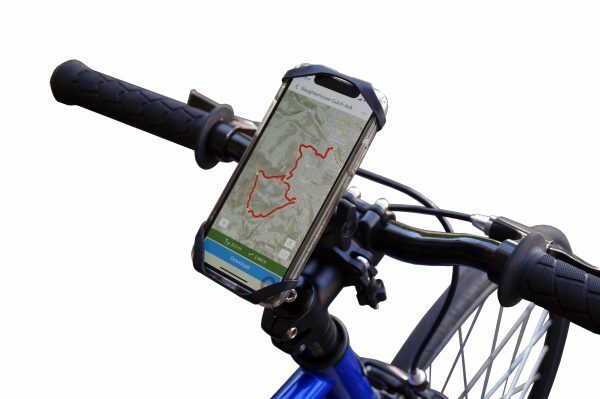 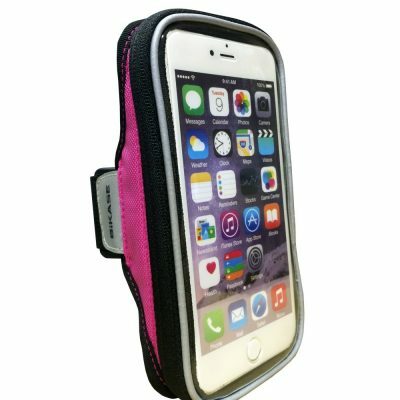 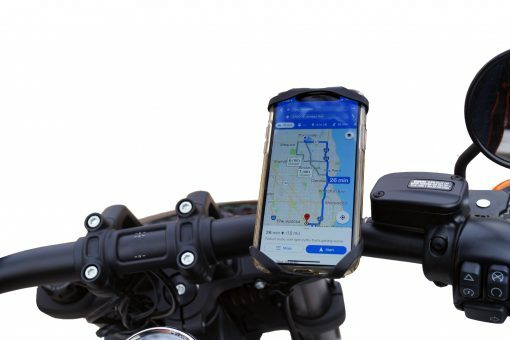 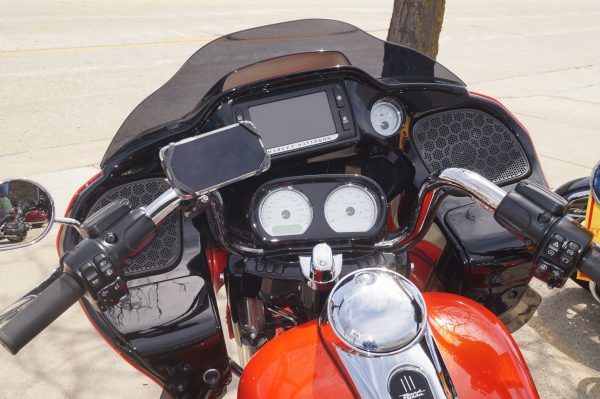 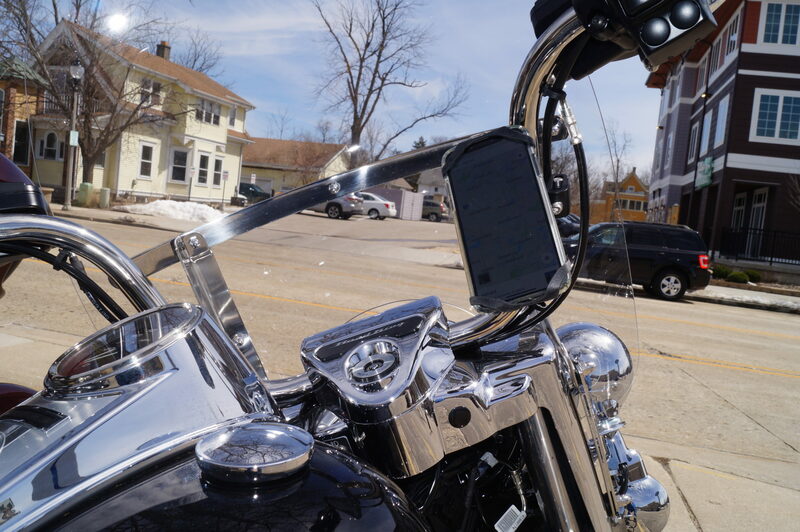 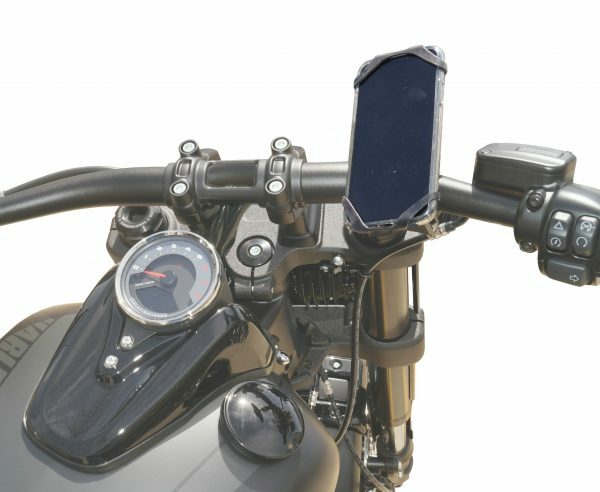 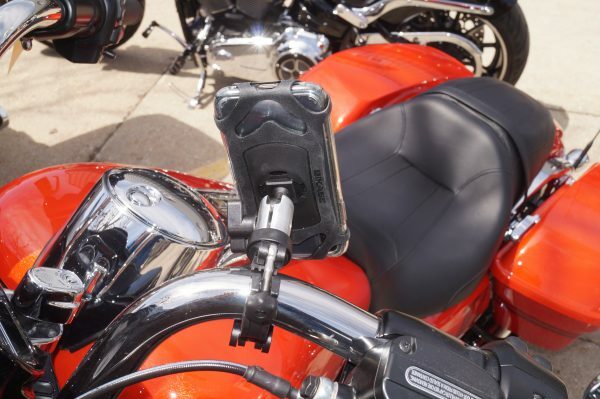 Fits with aftermarket cases for phones such as iPhone X, iPhone XR, iPhone XS, iPhone X Max, iPhone 8, iPhone 7.
bike hone Holder is on a ball socket so can rotate 360 degree’s for viewing at any angle. 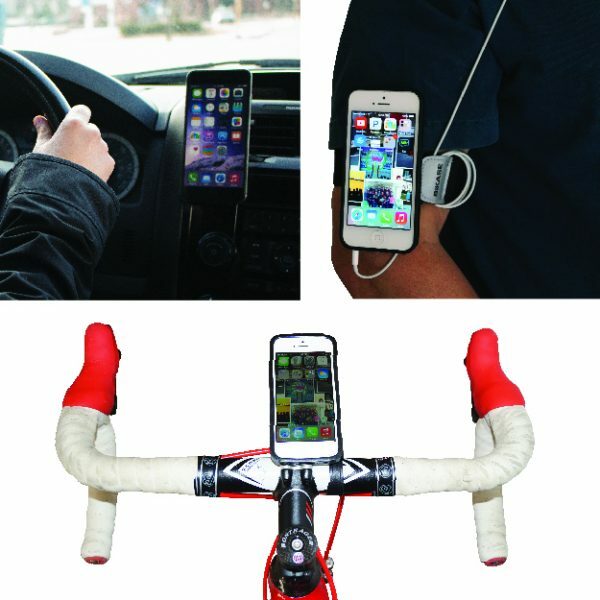 Can use as an out front mount and comes in handy when you have lights, or other devices mounted on handlebar, because will provide a few inches of clearance from bar.